In our Best Practices for Creating a Quick Alarm Response, we highlighted how cutting down on false alarms can help you experience a quicker police response to your security system. Certain houses in a neighborhood occasionally “cry wolf” too many times. This can lead to police departments responding to other calls before checking on what will likely be yet another false alarm. Indeed, the fear of the headaches false alarms create scare some homeowners away from installing security systems altogether. However, we offer several steps to cutting this threat down tremendously. In this post, we share some of our top tips to help you eliminate false alarms. We will begin by discussing the initial process of designing your alarm system. From there, we’ll focus on keeping your security equipment in working order. This also includes examining how changing the home around your alarm can affect alarm components’ functionality. Many false alarms result from household pets rather than component malfunction, so we’ll look at planning around this possibility as well. Finally, we’ll discuss what to do after your first false alarm. Taking proper action right away can help make this inconvenience a one-time event. Let’s start with a look at how to design and install your system in a way that limits your danger for false alarms. Many homeowners work with a professional security company (such as ours) to design and install their alarm systems. We have the experience and product knowledge to create a security system that works as efficiently as possible. However, as we pointed out in our post on Do-it-Yourself Security vs. Professionally Installed Security, customers do have the option to design and install their own security systems. Homeowners choosing this option may unwittingly set themselves up for a false alarm problem. Using the wrong equipment or installing sensors in the wrong places can set security systems up for failure. For example, installing motion detectors in front of windows can cause false alarms. Motion detectors work by sensing a change in a room’s heat index. The sun poring through a window can cause this same effect inside a room. Placing these detectors incorrectly can create frustrating false alarms. Periodically testing your alarm system can help catch potential issues that may cause false alarms down the road. Similarly, installing door and window sensors imperfectly can also raise issues. The spacing between the contact and the magnet of a wireless sensor is of utmost importance during installation. Installing these products imprecisely can create huge headaches. Therefore, many homeowners set themselves up for failure right from the beginning phases of their security system use. Now, let’s take a look at maintaining your security system after installation to keep the false alarm threat at bay for years to come. In our Five Tips for Security System Maintenance, we discussed the importance of keeping your alarm equipment in working order. After time, security system components may work less consistently than when they did upon installation. Keeping alarm contacts well-maintained can keep this time at bay for as long as possible. Additionally, testing equipment can also let you know when you do need to replace any sensors. To maintain alarm equipment, we recommend cleaning around the sensors and making sure that covers are tight. Dirty sensors can lead to decreased functionality and a greater chance for a false alarm. Take extra care to clean around motion detectors, even taking the cover off to clean. Occasionally, bugs make their way inside motion detectors, which leads to many false alarms. 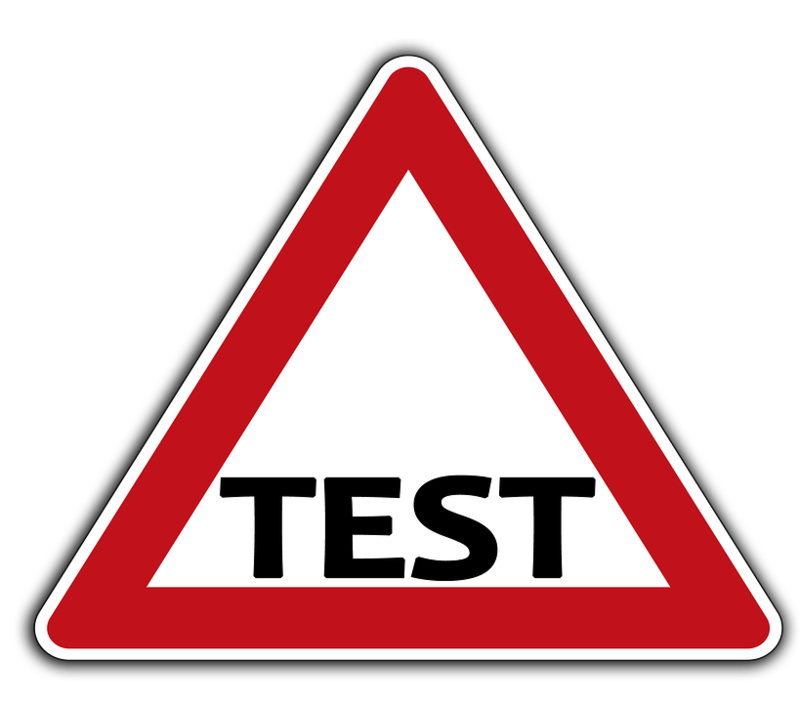 We recommend that you call up your alarm company to conduct a system test. When our customers conduct a system test, we put the alarm on “test” mode. This allows us to watch alarm signals come through, without these signals activating a central station response. With your alarm in test mode, arm your security system. Then, activate your alarm by opening all of your doors and walking in front of your motion detectors. We can verify that each sensor creates a unique alarm. Additionally, we can verify that your alarm sends reliable and accurate information to the central station. Some false alarms occur due to a malfunction with your security panel itself, and not the contacts in the field. Testing your alarm can help you spot problems before you receive a false alarm (and potentially a police visit). Now that we’ve covered setting up and maintaining your alarm properly, let’s look at practicing proper alarm care during times of change in your home. If you plan on renovating your home, remember to keep in mind how doing so may affect your alarm system. Whether completing a major renovation or simply redecorating, making changes to your home can affect your alarm system’s components in various ways. 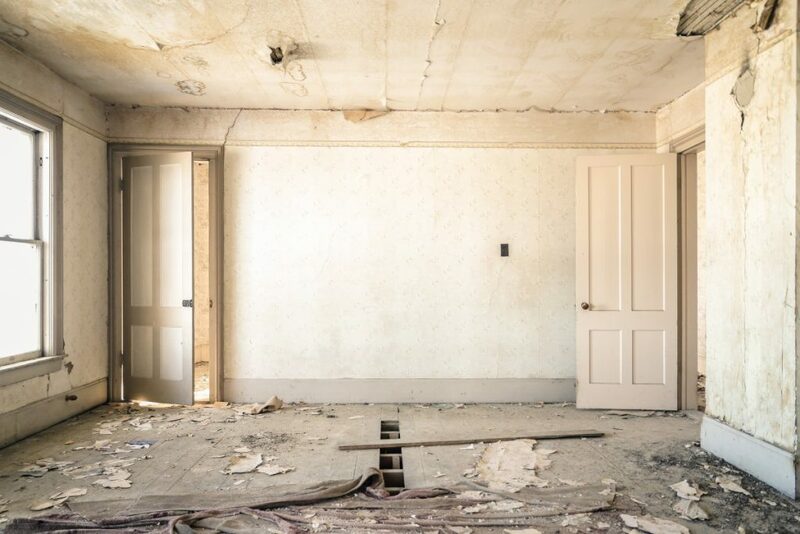 Our post on Securing Your House During Your Home Renovation Project pointed out some of the ways that renovations can affect your alarm system. For starters, cutting down walls can affect alarm wiring. Additionally, changing out doors and windows can affect the alarm contacts that protected the old windows and doors. Finally, renovations may change what motion detectors “see” in front of them. Occasionally tearing down walls can expose detectors to windows that used to stay blocked from the detector’s sight. As mentioned earlier, the sun shining through these windows may now cause a false alarm. We recommend calling your alarm company before undertaking major renovations to plan around these potential obstacles. Like renovations, home redecorations can also affect your chances of experiencing a false alarm. Adding large plants to a room, for example, adds to this risk. Large plants or trees that may sway underneath a fan can easily create a motion detector alarm. When redesigning a room’s look, make sure that you take into account what type of security contacts protect that room. Let’s look at one final factor that causes possibly more false alarms than any other: the addition of pets. 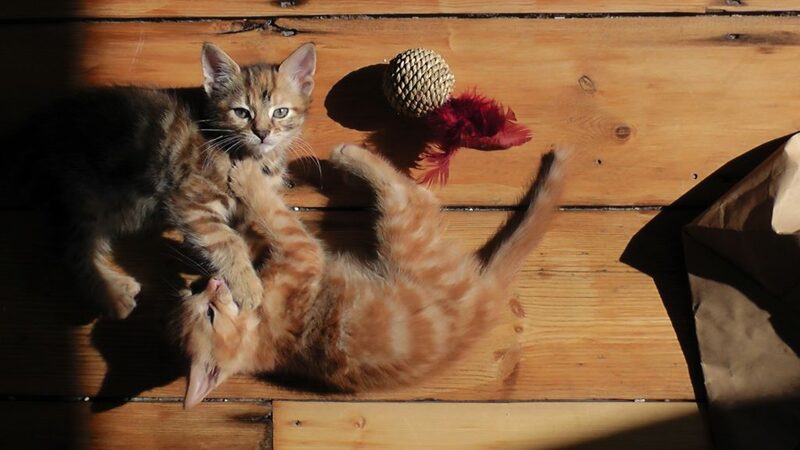 Bringing home pets is always an exciting an experience for a family. The first time your pet activates a motion sensor in your absence creates an entirely different type of excitement. When customers call for help designing an alarm system, we immediately ask if they have any pets. Dogs and cats cause numerous false alarms by getting in front of motion detectors. Of course, many alarm customers install alarms in pet-free homes, only to add pets to the family at a later date. Additionally, families that install an alarm in a house with small pets may find that problems only arise as their pets grow to a more substantial size. Although not a real threat, furry family members cause a large percentage of all false alarms for homeowners. If you have a security system and may want to add pets to your family, give us a call. We can help you plan for the potential issues that may arise as a result. Swapping equipment out can often eliminate false alarms cause by pets. For example, we can contact windows individually instead of using motion detectors. In rooms with picture glass, we can use glassbreak sensors that detect the sound and air movement caused by broken glass. Planning your sensors with your pets in mind can greatly lessen the threat of a false alarm. At this point, we’ve shared several tips for avoiding false alarms altogether. Now, let’s look at our recommended steps for customers who do experience their initial false alarm and wish to cut down on their risk of experiencing this inconvenience again. What Do I Do if I Experience False Alarms? Even if you do take precautions against them, many customers experience a false alarm at some point in time. Many customers ignore false alarms entirely and write the experience off, knowing that no actual emergency occurred. However, we recommend taking a difference approach to your first false alarm. If you believe your alarm went off without a good reason, call your alarm company. When customers call us to follow up on an alarm, we can provide a wealth of information. We can quickly determine the time and reason for any alarm event. If you continue to experience a false alarm from the same sensor, replacing that sensor may well solve the issue. As stated earlier, sometimes the alarm panel itself causes the issue rather than any one alarm component. We can also track alarm signals that originate with the panel and diagnose them. Knowing the issue that you face can help you deal with it as quickly as possible. Unfortunately, repeat false alarms often leave customers discouraged. Some alarm owners even disconnect their security systems altogether, fearing more incidents. However, figuring out what went wrong can help point to why things went wrong. From there, a simple fix can often stop the problem before it turns into a recurring issue. 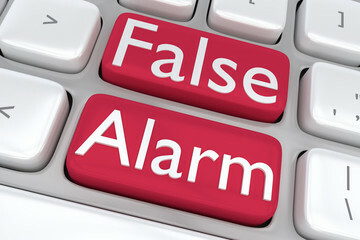 We hope that this post has given you ideas to cut down on your risk of false alarms. Anyone who has had the police show up for no reason obviously wishes to stop this from happening again. Perhaps you have experienced this before and now have some ideas for solving the alarm issues. Or maybe you don’t have security equipment in place yet, but want to make sure it works properly once you do. Either way, we encourage you to contact us with any questions you may have about the material in this post. We offer free site surveys for both people with existing alarms and new alarm customers. While on site, we can make recommendations to ensure that your alarm only creates a central station response when you need one. By doing so, we can work with you to keep your home and your family safe and secure — without the headache caused by a false alarm.